The media buying revolution continues. 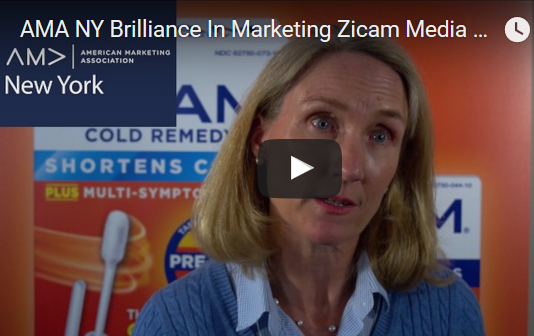 The American Marketing Association’s “Brilliance in Marketing” segment on Zicam’s revolutionary approach to buying television time comes at the end of the long-standing television upfront market. This 50 year old tradition has already been assaulted by the shift of ad dollars from television to digital. Now sophisticated algorithms paired with big data are allowing brands to buy television like they buy internet. The CEO of the makers of Zicam, M’Lou Walker, told me how they have changed the way they buy advertising in a recent interview in her office. The new technology could help shift dollars back into television. Digital’s allure is its ability to specifically target people and provide detailed metrics. As television technology develops, those benefits are increasingly available to television advertisers. With television’s proven ability to move the needle, we may soon be looking at ad rush back into television when more companies adopt Zicam’s approach.